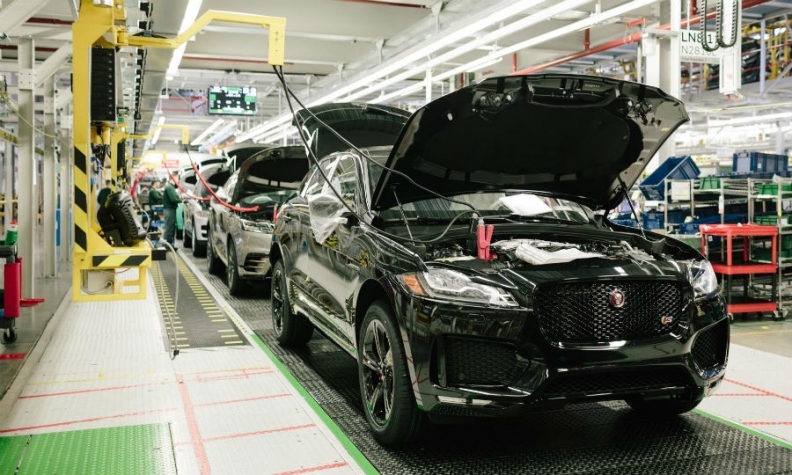 Jaguar F-Pace production in Solihull, England. LONDON -- British car production overturned several months of declines to rise 5.2 percent in April, boosted by new and updated models and a comparatively poor performance in the same month last year due to the timing of Easter. "While April’s growth isn’t altogether surprising given the significant decline in output this time last year, it is good to see earlier planned investment into new models delivering results," said SMMT CEO Mike Hawes. "The ability of UK plants to attract the next wave of new models and drive future growth depends upon maintaining these competitive conditions after Brexit," Hawes said.